In Italy, there’s art and lots of it. Then, there’s the architecture. Also, the food. The fashion. The festivals. The people… In fact, Italy is so bursting with attractions that a visitor’s biggest problem may be choosing a workable itinerary! 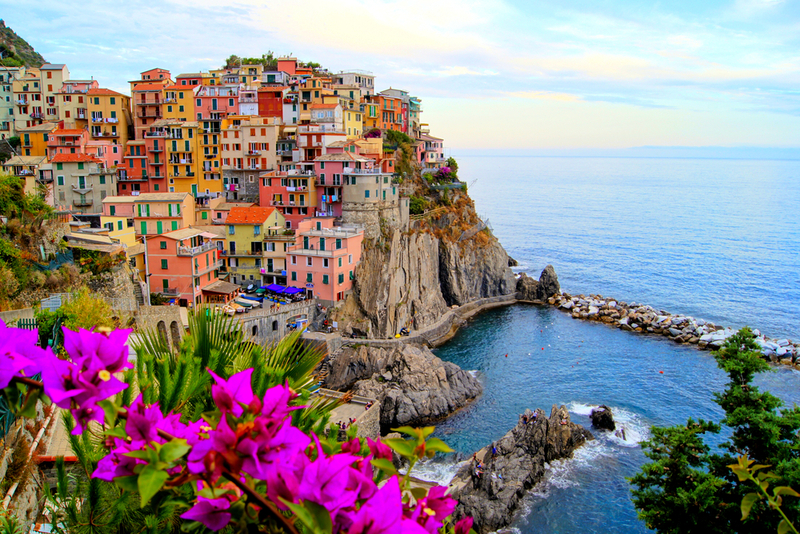 Explore the wonder, beauty, and delicious food in Italy! 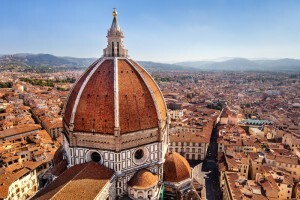 Italy’s appeal is derived from its ancient architecture, historical significance, its beautiful coastlines and the pleasant Mediterranean climate of its southern regions. Rome is a picturesque treasure trove of antiquities, from the Colosseum and Santa Maria Maggiore, to the Pantheon and the entire Vatican City. The Uffizi Gallery, one of the world’s truly impressive art collections, is one of the main lures of Florence, where the Renaissance was born and beauty reigns today. In Venice, forget about hailing a Checker cab, you’ll be traveling by water taxi, gondola, or vaporetto! All U.S. citizens need a valid passport to enter Italy; visas are not required for American visitors staying in Italy for up to three months. Italy employs the euro (€) as its sole currency along with 24 other countries that use this common European money. And while you’re likely to find people who speak English if you travel to major cities with robust tourism infrastructure, it’s better not to assume the same once you enter the hinterland. As in many European countries, knowing a little bit of the native language may help you have a better experience. 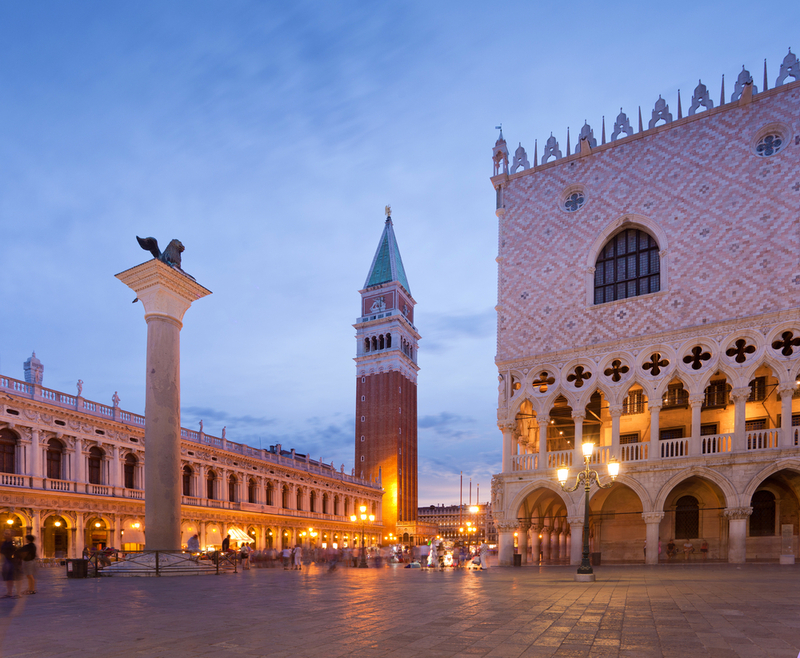 A public square in Venice, Piazza San Marco is one of Italy’s most popular destinations and was used as the inspiration of the Italy Pavilion at Disney World’s Epcot. The reigning fashion and industrial center, Milan is the most modern of all Italian cities, though it still keeps most of its history intact. La Scala, over 200 years old, is still the world’s greatest stage for opera. All weatherbeaten buildings, quiet canals, and soft sunsets, Venice is one of the most romantic cities on earth. Travel by vaporetto to Piazza San Marco, and take a gondola ride along picturesque canals. 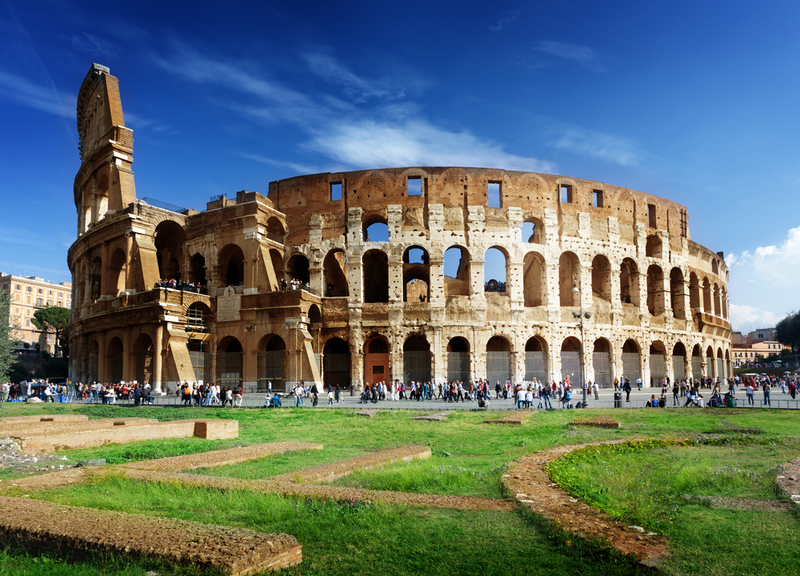 You haven’t visited Italy until you’ve visited the Colosseum. Rome is a treasure trove of antiquities, from the Colosseum and Santa Maria Maggiore, to the Pantheon and the entire Vatican City. Spend a day people-watching on the Spanish Steps and shop on the Via Condotti. 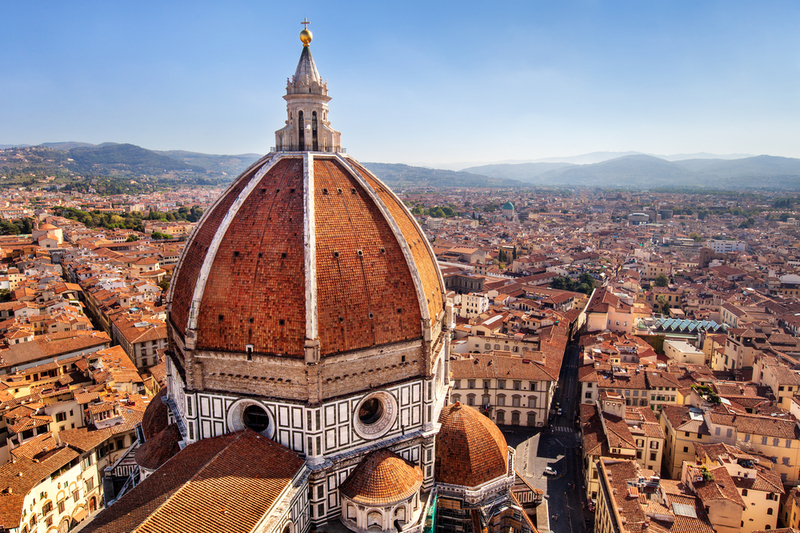 Birthplace of the Renaissance, elegant Florence is all narrow alleyways and soaring architecture, crowded piazzas and hushed, reverent galleries. Shop here for rich leather and gold bracelets. 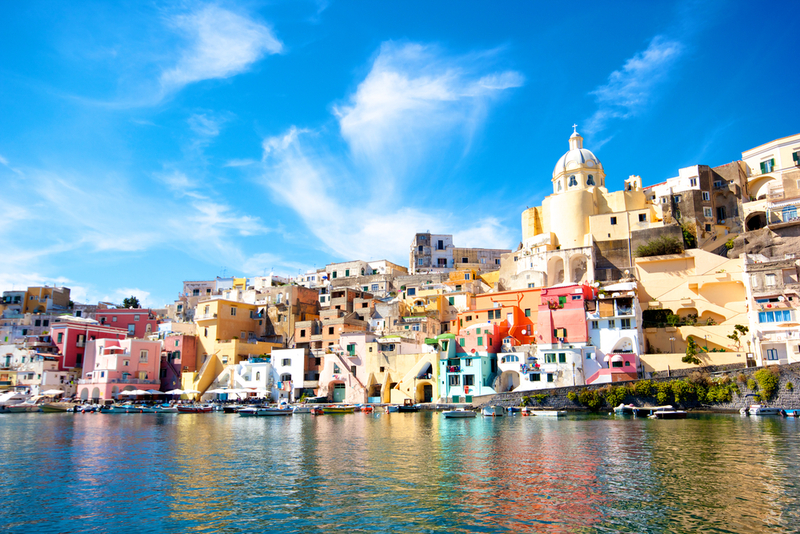 Experience one of the cultural capitals of Italy in Naples, a UNESCO World Heritage Site. Naples is full of life, its narrow and winding streets teeming with small shops, and its vast artistic heritage elevated to UNESCO World Heritage Site status. Just south, the postcard-perfect towns Positano and Ravello nestle within the rugged terrain of the Amalfi Coast. 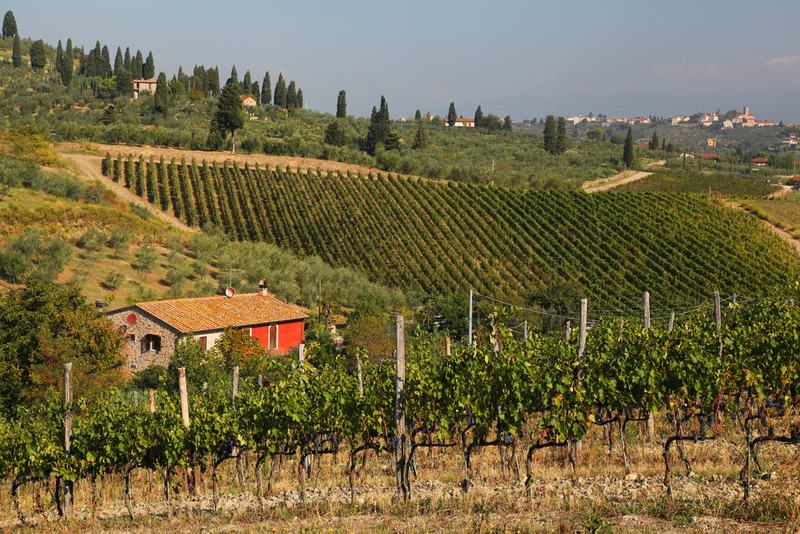 Italy is a foodie favorite destination with distinctive dishes and wines that offer exceptional tastes and flavors. Italian food in Italy is different than what is called “Italian food” in America. It is truly one of the most diverse cuisines in the world, and like the language and culture, food in Italy differs region by region. Risotto, arancino, polenta, gelato, cornetto, rustichella – try them all, of course (depending on where you are). But even better, you can learn to make these and many more dishes! Take a cooking class – they’re easy to find – and master the fine arts of pastas and pizzas, sauces and desserts. 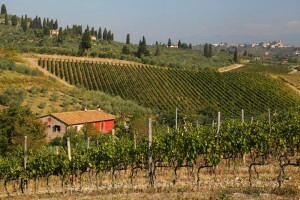 And great Italian fare isn’t only what’s on your plate – Italy is famous for its wine. The best vineyards tend to be in the middle of some beautiful scenery, and tours to these areas abound. 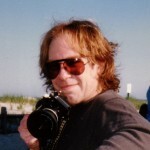 Jed is a writer for Flight Centre USA. 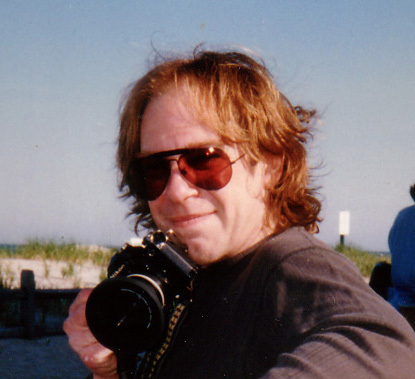 A New Yorker to the core, he has written extensively inside the travel and entertainment fields (winning Emmy Award honors for the latter), and has traveled widely throughout Europe and North America. He would love to live in London but can’t quite master the accent. He does, however, speak French like Marcel Marceau.